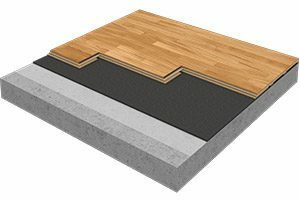 Our customers have made Le Mark Floors one of the most trusted suppliers in the world. You deserve support from real humans, in addition, the chance to try our dance floors through on-site demonstrations wherever possible. Le Mark is a family run business with nationwide coverage for installation and global coverage for sales and product support. 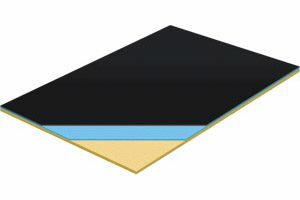 Whether a small home studio or a world-wide tour, our customers deserve affordable dance floors that offer nothing but exceptional performance. 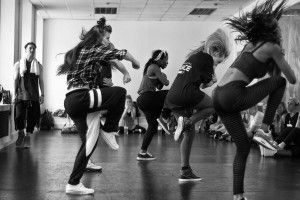 Because of our simple values, we’re now trusted around the globe by some of the biggest and most renowned studios, colleges, academies and performers. Wherever your are in the world, we’re ready to provide your new dance floor. 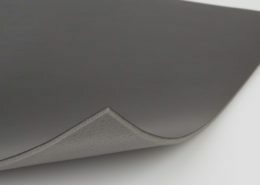 Bring your studio to life with a range of world-class vinyl dance floors. Whether used for tap, ballet, contemporary or a variety of dance styles, we’ll help guide you to find the best dance floor for your requirements. Our lay-flat dance floor technology allows our floors to be installed with minimal effort, and maintenance is just as easy. 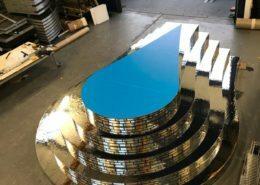 You can therefore install many of our vinyl dance floors yourself, or you can take advantage of our nationwide installation service. 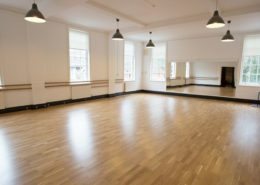 Our sprung dance floors are trusted globally by some of the best dance schools and academies in the world. 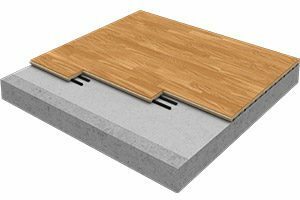 You can choose from a permanently installed sprung floor or, take advantage of our removable sprung floor which can be ideal for those in rental or leasehold premises. If you have any questions regarding installation or if there’s anything we can do to help, please feel free to contact us. Bringing new life to an old floor. 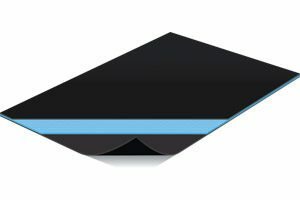 "I chose Harmony™ because it is lightweight for rolling and storage purposes and a reasonable price; it gets taped down the joins but we haven't needed to..."
https://www.lemarkfloors.co.uk/wp-content/uploads/Harmony-Value-Dance-Floor-Sample.jpg 900 900 Le Mark Floors https://www.lemarkfloors.co.uk/wp-content/uploads/Header-Logo-Le-Mark-Floors-300x138.png Le Mark Floors2017-08-07 13:11:532017-08-08 12:08:50Bringing new life to an old floor. "The craftsmanship was exceptional and the speed of installation was impressive..."
Wanting the floor to be installed as soon as possible, it took around three weeks (from point of order to delivery) for Le Mark to get the flooring manufactured and delivered, with installation taking place on the same day as delivery. 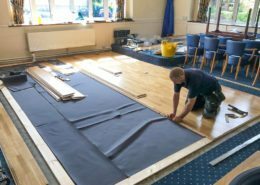 https://www.lemarkfloors.co.uk/wp-content/uploads/Sprung-Dance-Floor-at-Peterborough-Conservative-Club-1-3.jpg 675 900 Le Mark Floors https://www.lemarkfloors.co.uk/wp-content/uploads/Header-Logo-Le-Mark-Floors-300x138.png Le Mark Floors2017-08-04 09:02:242017-08-08 11:44:35"The craftsmanship was exceptional and the speed of installation was impressive..."
“The stage looked amazing after we had finished setting everything up, with the teardrop floor placed on top of the silver and black stairs at the back of the stage” concluded Matt.